The threat came a week after the Trump administration introduced sanctions against two shipping companies that transport Venezuelan oil to Cuba. The US government has already partially imposed Title III of the Helms Burton Act, and is threatening to open the door to a flood of court cases against foreign companies with investments on the island. 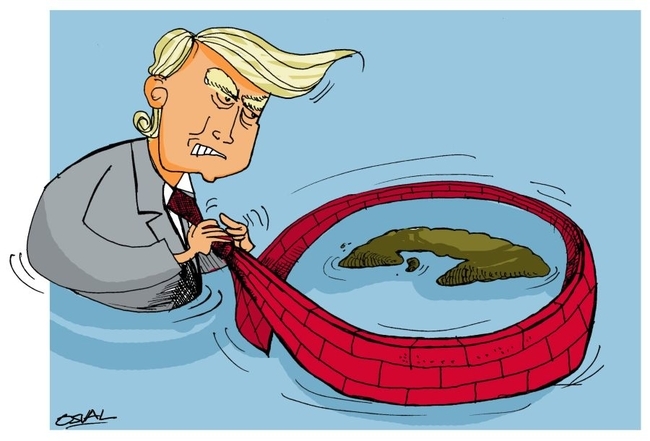 In 2019 the Trump administration has ratcheted up its hostile language, threats and actions against Cuba.There is speculation that the new measures to tighten the blockade and strangle Cuba’s economy will include reducing the amount of remittances that Cuban-Americans can send home to their families in Cuba, and cutting travel between the two countries. “We have told the US administration Cuba is not afraid and will continue building the future of the nation without outside interference,” Castro told the national assembly. “We will never abandon our duty of acting in solidarity with Venezuela,” and “We reject strongly all types of blackmail,” he said. Closing the special session of the National Assembly to enact the new constitution, Cuban President Miguel Diaz-Canel demounced the US actions. "We cannot underestimate Washington's escalation, financial persecution and the economic and commercial blockade of Cuba have increased," he said. He described the Helms Burton law as the "slavery act", and asked: "What else can they [the US] do to us after 60 years of persecution, aggression and threats?" "The island cannot be surrendered and its people will defend their Revolution," he added.